If you find that your application is starting and then quickly stopping when you run it with AlwaysUp, your application may be trying to report an error message that you simply cannot see. In this situation, we recommend starting your application from a command prompt running as a service, to find out if something useful is being written to the console. Highlight your troublesome application in AlwaysUp and select Add Copy… from the Application menu. If there is anything in the Arguments field brought over from the application you copied, please remove it. Change the Name field to something meaningful. We have entered “CMD Testing” in this guide. Set the Start the application field to Manually, from AlwaysUp. We don’t want this command prompt service to start automatically at boot. 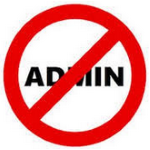 If you have specified a user on the Logon tab, switch over there and re-enter the password (a security measure). Those are all the changes we need to make so click the Save >> button to record your new service. It will show up on the AlwaysUp console soon. And finally, in the command box, type in the full command line you gave to AlwaysUp – application & arguments. Be sure to specify the exact values that you had supplied to your AlwaysUp service! Please cut & paste to ensure accuracy. Hit Enter to run your application and pay special attention to what is written to the command prompt. Once you’ve fixed the problem and verified that your application can start normally with AlwaysUp, please feel free to remove the CMD service by highlighting the entry in AlwaysUp and selecting Application > Remove. 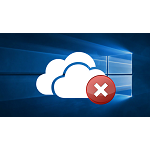 My OneDrive Windows Service Doesn’t Work – Help!